Does not block the pores. 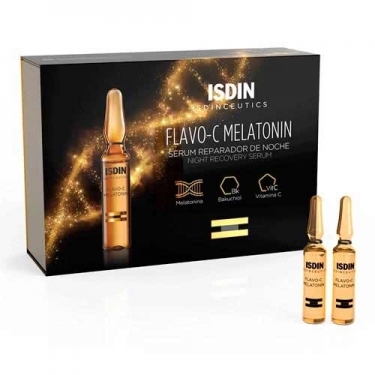 DESCRIPTION: Flavo C Melatonin Serum from Isdinceutics is a night repairing serum in ampoules for all skin types. 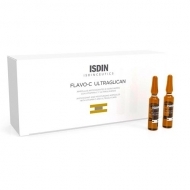 It contains in its formulation: Melatonin, which acts at night stimulating the antioxidant defenses of the skin, leaving it prepared for the oxidative stress that occurs during the day; Bakuchiol, a naturally occurring ingredient with antiaging properties that restores the elasticity and firmness of the skin, Vitamin C, which fights against oxidative stress, while giving back luminosity to the skin. Replace the cap after use to ensure product retention.